Some people we met in Brussels were there for less than 48 hours, which I think is just not enough time to enjoy the city. You might be able to run around and see a few things but I prefer my holidays to be chill- so you at least feel like you have been on holiday! I'd say three - four days would be the minimum you could go for, we had four and a half and it was perfect. We saw lots of things but still had the time to chill out and not feel rushed. Drink cocktails and lots of them! Preferably from as many different places as possible - like a van. If you don't like cocktails (and even if you do) you really should drink beer. It's Belgium, drink all the beer. For cheap food in the centre of town, hit up Chow Chow. Delicious and filling Chinese food for 3.80EURO for a lunch. It isn't amazing but it's quick and filling and you can pick between two plates and off you go! You'll be in walking of most things so get your legs out and use them! You have metro and trams pretty near so don't worry. Forget about Fridays, it's all about Saturdays. 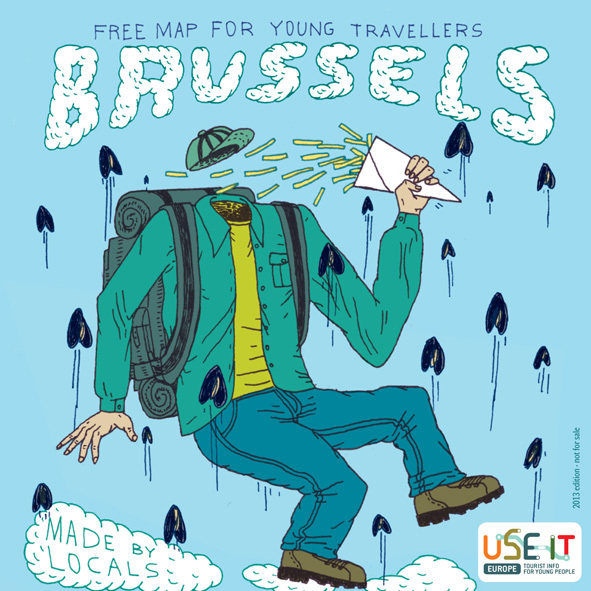 In particular use the Use It Map For Young Travellers. It's free and amazing, so many tips and tricks inside it. Plus it's always handy to have a map on you in a new place. Sorry (not sorry) for another cocktail tip, but when it comes to prices cocktails can seem kinda expensive. So look out for happy hours (on the map above), I managed not to spend any more than 5EURO a drink quite easily so just keep your eyes open for deals. Have you visited Brussels? What's your top tips?